Ross Perot is a former presidential candidate & founder of Electronic Data Systems.In 1969, the U.S. government asked Perot to determine what action might be taken to improve the brutal treatment our POW's were receiving in Southeast Asia. He worked on this project for the next four years, placing himself and his family at considerable personal risk, until the prisoners were released in 1972 at the end of the Vietnam War. In recognition of his efforts, Perot received the Medal for Distinguished Public Service, the highest civilian award presented by the Department of Defense. When two EDS employees were taken hostage by the Iranian government in 1979, Perot directed a successful rescue mission composed of EDS employees and led by Colonel Arthur 'Bull' Simons. Perot personally went into Iran and inside the prison where his associates were held. Noted author Ken Follett wrote a best-selling novel, On Wings of Eagles, about the rescue. An NBC TV miniseries was later made about this event. Later that same year, the governor of Texas requested Perot's help in dealing with the growing problem of the use of illegal drugs in the state. Perot led the Texans' War on Drugs Committee that proposed five laws to make Texas the least desirable state for illegal drug operations. All five bills were passed by the legislature and signed into law. In 1982, another Texas governor asked for Perot's assistance to improve a deteriorating situation -- the quality of public education in the state. Recognizing that a first-class educational system is the foundation for economic improvement, Perot led the effort to reform the school system. This program resulted in major legislative changes and improvements in Texas public schools. Perot accepted another challenge in 1984 when he sold EDS to General Motors for $2.5 billion. The ownership that he retained in the company made him GM's largest individual stockholder and a member of the board of directors. After major disagreements over the quality of GM automobiles, Perot resigned from the GM board in 1986. 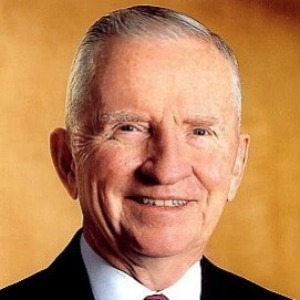 In 1988, he started a new computer service company, Perot Systems. 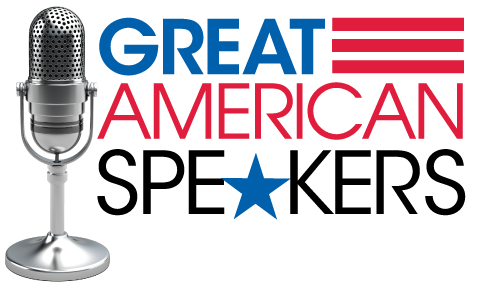 Today that company operates in the United States and Europe. Ross Perot was born in Texarkana, Texas. Beginning at age seven, Perot worked at various jobs throughout his boyhood, including breaking horses, selling Christmas cards, magazines, and garden seeds, buying and selling bridles, saddles, horses and calves, delivering newspapers, and collecting for classified ads. He entered the United States Naval Academy in 1949 and graduated in 1953. While at the Naval Academy, he served as class president, chairman of the honor committee, and battalion commander. After graduation, Perot served at sea for four years on a destroyer and an aircraft carrier. Upon his honorable discharge from the Navy Perot went to work for IBM's data processing division as a salesman. "Mr. Ross Perot's philosophy of hard work, honesty, integrity, square-dealing, and compassion was shared with all students and faculty for an hour in Pingree Auditorium. Mr. Perot spoke on his humble upbringing in Texarkana, Texas, his days at the U.S. Naval Academy, IBM, EDS, and on general topics such as leadership, his principles of success, and the importance of service to others."